In last month’s newsletter, we introduced ndMail as a very useful tool to help you manage email. ndMail utilizes artificial intelligence (AI) to predict with incredible accuracy where to save your emails, which you can then file/save with a single click. ndMail uses complex algorithms to determine which matter each email message in your inbox should be filed against based on the sender, recipient, subject and content from the actual message. Building on what we taught you last month, we wanted to share a couple additional tips. Most Outlook users already have extensive subfolders under their inbox to save emails based on client/matters so those emails are easily located and also accessible on their smartphone. The problem with this is that no one else in your office can see those important emails. It’s like storing an important pleading inside of your physical desk drawer and then locking your drawer! No one thinks THAT is a good idea! Important correspondence and documents belong is the central digital matter file. 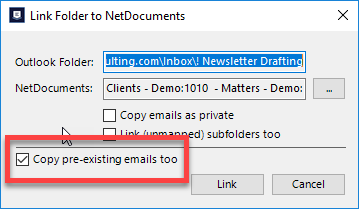 One key feature of ndMail is the ability to still use those folders, but now those emails will be also copied into the matter within NetDocuments. You just need to map those existing folders to the matter within NetDocs. 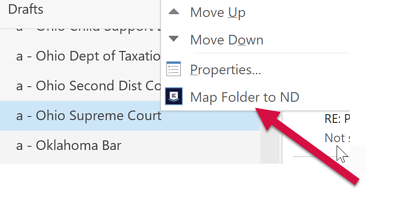 To do that, simply right-click on the existing subfolder and select Map Folder to ND (NetDocuments). Additionally, you have a choice to send everything already in that folder to NetDocuments or just new items. Another great feature of ndMail is the ability to get to all of your matter documents from the predictions list in Outlook. You can right-click on any of the predictions and select Go to location in ND. ndMail runs $20 per user/per month and can be taught to users in a 20-minute workshop. It really is a “must-have” add-on for organizations suffering from the perils of receiving 100-200 (or more) per day. 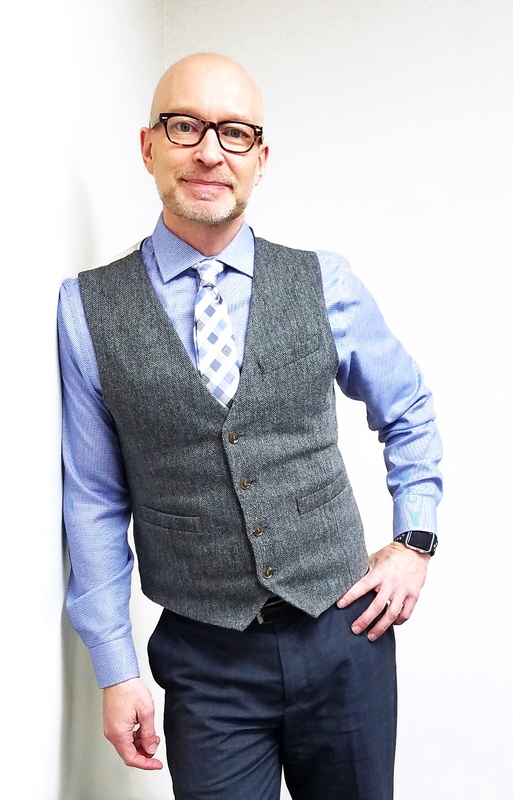 Please reach out to info@affinityconslting.com for a full demonstration or a consultation on deploying the ndMail module.